Aeromodelling is a fantastic sport for the whole family to enjoy. You can fly for fun or compete in competitions across a range of categories, from remote control multi-rotor aircraft to free flight, control line and scale models of real aircraft. 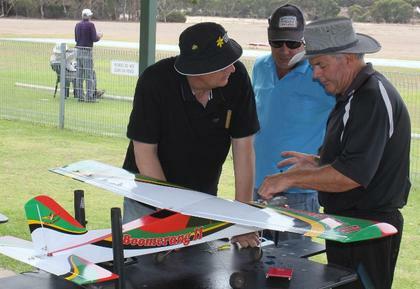 Noarlunga Model Aero Sports invites you to a have a go at our flying field located at Clisby Lane off Railway Road, Seaford Meadows. Come along and experience the fun of flying a model plane. This is a good opportunity for you to test your piloting skills and get behind the controls of a model aircraft. One of our experienced instructors will take you for a fly on a real model using the buddy box system which allows them to take control back if required. Have a Go at flying for free! Our club can help you with advice on the best models, education and technical expertise. We provide a safe place to fly and even have recognised flight instructors to help you get your wings! To arrange a session of free flight training, please leave your name and contact information information below and one of our instructors will contact you. Held first Monday of each month 7.30pm (not Jan) at the NMAS Club Rooms or other location(s) TBA. Noarlunga Model Aero Sports Inc. Flying field and club rooms. Clisby Lane off Railway Road, Seaford Meadows.